Each Friday I’ll serve up a photo and give you the story behind it. This week, Halley demonstrates her tree planting technique. 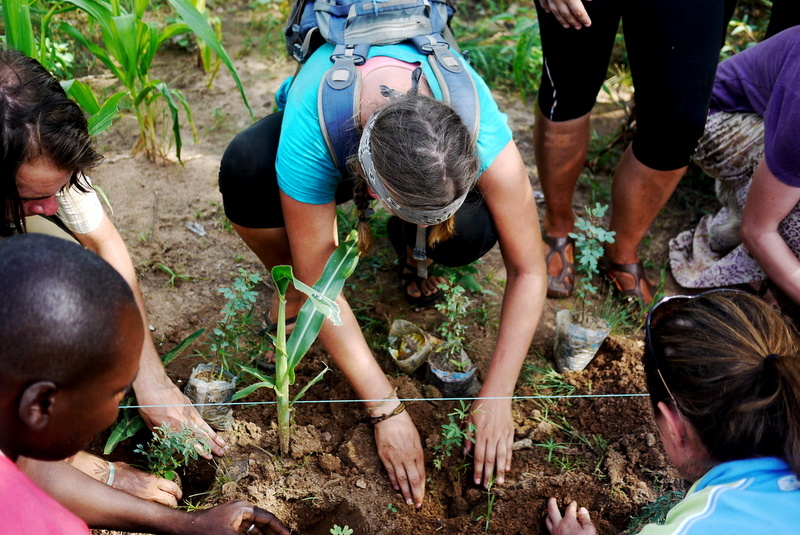 As part of our new project plan, Peace Corps Burkina Faso is aiming to plant 1,000,000 trees over the next five years. During our short stopover in Pô during the bike tour we managed to put a small dent in that number.